Fill-in-the-Blanks questions have the option to use a Word Bank. By default, the first time you use Schoolhouse Test, word banks will show up for all Fill-in-the-Blanks questions. 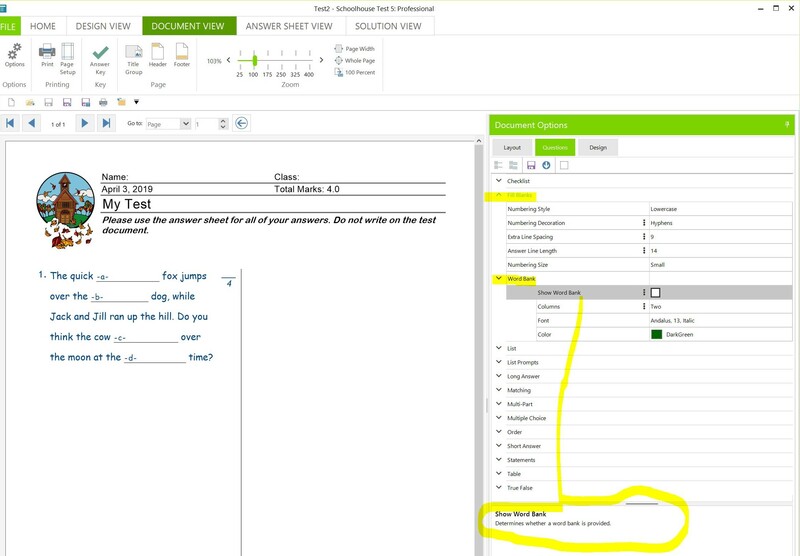 To hide the word banks or format the word banks, navigate to Document View and select Questions in the right-hand Document Options pane. 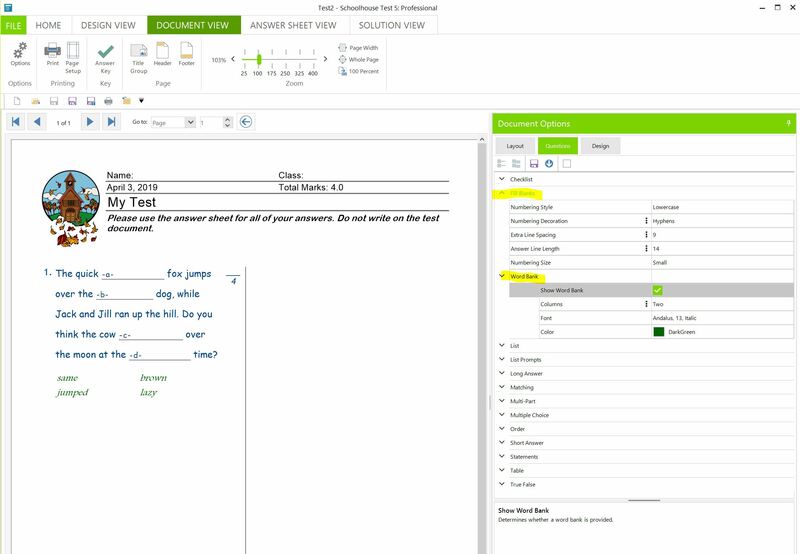 Expand Fill Blanks to display the options available including Word Bank. Then expand Word Bank to display the available formatting options and the option to show or hide word banks (check or uncheck Show Word Bank). These options in Document View are global settings and will format all fill-in-the-blanks questions the same way for the whole test document.